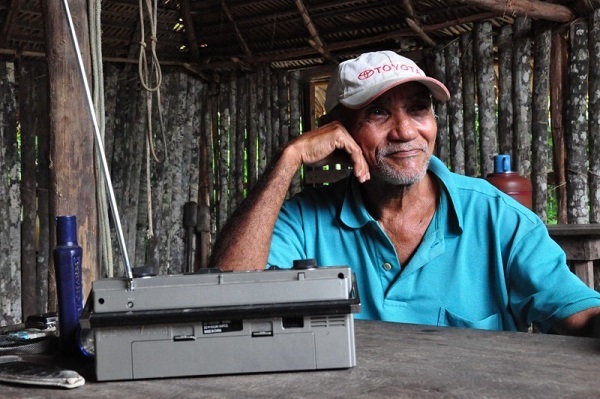 In this interview, Maurício Torres denounces violent actions carried out by the Brazilian Institute of Environment and Renewable Natural Resources and the Chico Mendes Institute of the Conservation of Biodiversity against the river-dwellers of Pará state, populations that have a relationship of equilibrium with the environment. A burned house, confiscated work implements, prohibited from commercial ventures and from farming. 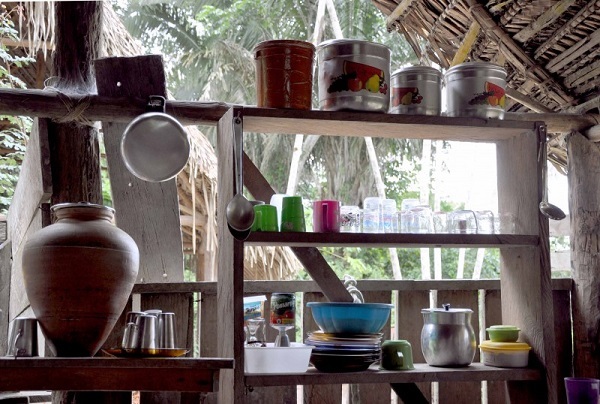 Treated as a threat to preservation, the “ribeirinhos”–or river-dwellers–of the Iriri River in Pará state, suffer from pressure to abandon the steep riverbanks, which are much more than just places to live, but are the places that keep them alive. Sociologist Maurício Torres compares the actions of the ICMBio [Instituto Chico Mendes for the Conservation of Biodiversity] to those of the ICMBope, the Special Police Operations Battalion of Rio de Janeiro’s Military Police. 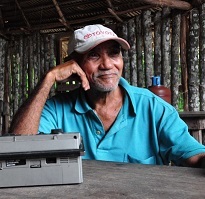 In the following interview, Torres reveals the contradictions in the Ministry of Environment’s position on conservation units: “They are permissive regarding the Belo Monte hydroelectric power plant, but when a river-dweller in a canoe comes along, ‘Good lord, get this monster out of here, or he’ll destroy the Amazon,'” he mocks ironically. With profound knowledge of the region and its people, Torres bases his criticism on long-term field research carried out at the Terra do Meio Ecological Station, published in the e-book Não tem essa lei no mundo, rapaz! [That law doesn’t exist anywhere in the world, young man!]. Along with Daniela Alarcon, the book paints a portrait of the violence against the river-dwellers of the Iriri River, a prime example of the way communities are persecuted, threatened and evicted from conservation units by Ibama [Brazilian Institute of Environment and Renewable Natural Resources] and, more recently, by the ICMBio [Chico Mendes Institute of the Conservation of Biodiversity]. 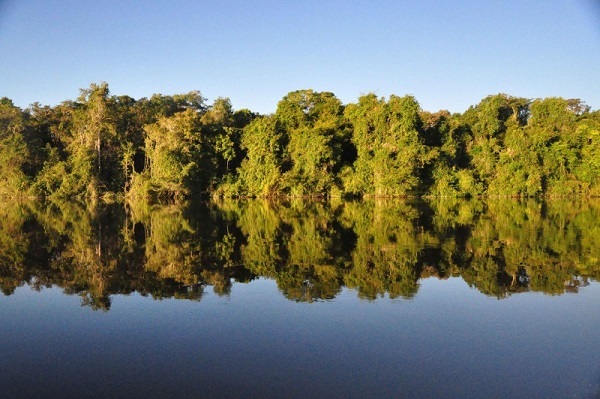 The Terra do Meio Ecological Station–which means Middle Land–is part of the Terra do Meio Conservation Unit Mosaic, located between the Xingu and Tapajós rivers in Pará state. The mosaic was created after the death of Sister Dorothy Stang to deal with “grilagem,” or the appropriation of land through forged deeds, and commercial exploitation of lumber and livestock. Studies indicated that the area should have been designated as an Extractive Reserve, a model that anticipates the communities’ use of the forest. Instead, the families have ended up inside of an Ecological Station, a model with restrictions on the presence of humans. If the Iriri river-dwellers are considered a threat to preservation, then not too far away the Xingu river-dwellers are an impediment to the construction of the Belo Monte hydroelectric power plant, which will flood 510 square kilometers and can generate the deforestation of up to five thousand square kilometers, according to estimates from Imazon [Institute of the Amazon Man and Environment]. After receiving a doctorate in geography from the University of São Paulo (USP), Torres has been living in Santarém when he isn’t conducting fieldwork for various organizations, including the Federal Prosecutor’s Office. He describes the impact that leaving the riverbanks can have on the lives of these families, whose identity and existence are based on these territories. 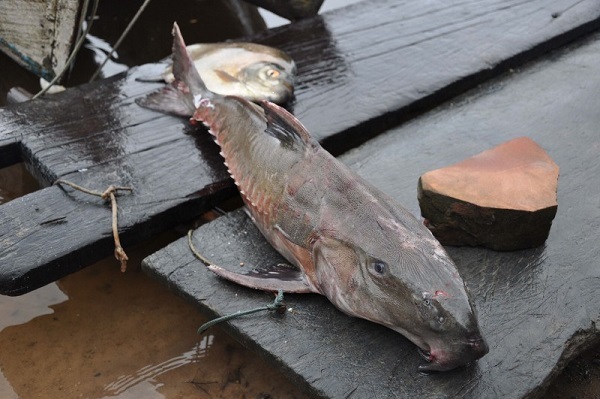 Repórter Brasil: Has Ibama and the ICMBio acted violently against the river-dwellers? Maurício Torres: Since the creation of the conservation unit, the river-dwellers have been immersed in a situation of daily violence and rights violations. For much of that time, the environmental agency responsible for management–first Ibama and now the ICMBio–pressured the families to reduce their [crop] production and hindered the commercialization of surplus, reducing their conditions for survival. During our field research, a firefighter who followed one of Ibama’s operations at the Terra do Meio Ecological Station told us that the then-head of the conservation unit ordered the expulsion of residents and even set fire to one of the families’ houses. Moreover, rights to education, healthcare and transport have been neglected. In this way, a process of expulsion has been unfolding, caused as much by State pressure on this group’s way of life as by the level of abandonment and deprivation of their constitutional rights. RB: Have there been other cases of explicit violence and coercion? MT: The residents say that a manager from Ibama collected all the machetes, knives, and hoes–work implements–from the river-dwelling families, classifying them as “white arms” [also called cold weapons, or weapons that do not involve combustion]. An absurd violation. Batteries that the families used to power celebrations were also apprehended. In other words, not only were the conditions that allowed for their material possibilities removed, but also the ones that allowed for a modicum of sociability. When these families abandoned everything, in a moment of desperation, and threw themselves into the world without anything other than what they could carry, Ibama, and later the ICMBio, proudly announced that they had spontaneously left the area. It is important to note that the situation has changed significantly with the arrival of the most recent manager of the conservation unit, Tathiana Chaves de Souza. She has shown sensitivity in relation to these groups, such that, after her arrival, these pressures have been greatly alleviated. As a result, other limitations have started to come from Brasília. RB: Isn’t there legislation that protects traditional communities from this type of action? MT: The law is quite clear: traditional communities that live in conservation units–even units that have full protection–have the right to remain in those areas. The conditions surrounding their stay should consist of solid agreements between the residents and the environmental agency. Both the Federal Constitution and the International Labor Organization’s Convention No. 169 guarantee the right of these families to stay. But Ibama’s public servants arrived, many without any preparation about the concept of traditional communities, and concluded that the groups were not traditional communities. This conclusion has been ratified by the agency’s cabinets in Brasília, which is not unpreparedness. The conclusion is convenient for the delivery of traditionally-occupied territories to forest concessions, to large-scale projects of logistical infrastructure. It violates the traditional communities’ rights to self-identification. 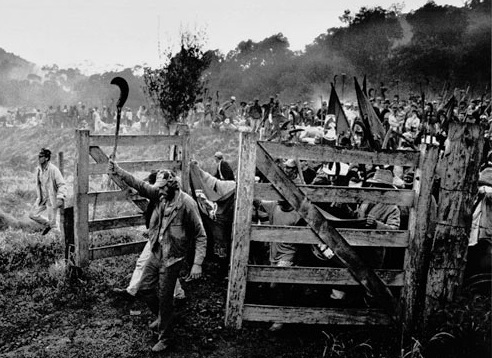 What the ruralistas [or “ruralists,” a term used to describe large agricultural producers, some of whom also act as lobbyists] do when they deny certain ethnicities, such as the indigenous, is very similar to what the leaders of the ICMBio [Chico Mendes Institute of the Conservation of Biodiversity] do when they deny certain groups the status of traditional community. The ICMBio does not have the competence, in terms of authority, for this dialogue. It is an agency focussed on environmental issues. I taught classes in three training courses for managers enrolled in the ICMBio. The time devoted to discussion surrounding traditionally-occupied territories and about traditional communities was absurdly short, two to four hours. The duration of firearms classes was longer. RB: That is why you refer to ICMBope [Special Police Operations Battalion of Rio de Janeiro’s Military Police]? MT: I say that sometimes the ICMBio seems like the ICMBope, with repressive police-style operations. I am not condemning repressive acts against loggers. 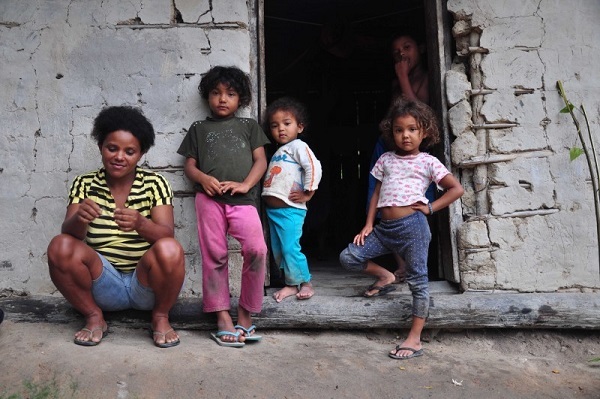 I am talking about the repressive police-style operations against ribeirinhos [river-dwellers], like the families who live in different conservation units have suffered I don’t know how many times. When we analyze the conduct of the environmental agency in the face of traditional peoples and communities, we find abhorrent things. And things are getting worse. RB: Has the creation of the mosaic of Terra do Meio Conservation Units reduced the conflicts and “grilagem” [the appropriation of land through forged deeds]? MT: In Pará, the state adopted a policy of fighting the illegal appropriation of property through the declaration of conservation units. This is not something automatic, since the conservation units are not instruments for the legalization of land ownership but for environmental protection. The declaration of a conservation unit turns the land into an area that can not be appropriated privately. But the procedures for reclaiming lands that are under the control of “grileiros” [illegal trespassers] are very precarious–practically nonexistent. The fact is that agrarian legalization has become a bottleneck for the conservation units. RB: Have the illegal trespassers been expelled by the river-dwellers or suffered pressure from them? MT: The Terra do Meio mosaic is the only case I know of in which nearly all of the illegal trespassers have been expelled. But this was done by the Federal Prosecutor’s Office [MPF]. Even today, the ICMBio still hasn’t filed an action of repossession against the trespassers who illegally occupied land, nor the few that remain, in the mosaic. For example, in areas that fell outside of the jurisdiction of Federal Prosecutor Marco Antonio Delfino de Almeida, who was responsible for the action [or repossession], illegal trespassers remain that have never even been disturbed. If the agency has a good handle on environmental issues, it is precarious when it comes to agrarian issues. We lack the legal tools with which the ICMBio would have the authority to transfer the safekeeping of the lands into its name. RB: Families have been expelled, at first because of illegal trespassers and then by pressure from the managing agency at the Ecological Station. What is their experience like? MT: I worked with exploited people from the Amazon National Park on the Tapajós River in the 1970s. The main complaint was the education of their children. The phrase that many families repeated was, “They don’t obey us anymore.” When I say education, I mean much more than just schooling. We know, from Aristotle to Foucault, that the master teaches because he is invested with authority that is conferred by knowledge. That knowledge is local. I knew truly wise people, with an extremely profound knowledge of the forest, about its uses, its dangers, its remedies, its potential for abundance. When a family like this leaves, and goes to work as a nighttime guard or cleaner, they are deprived of this knowledge. I knew one lady who said that her husband had rowed two days to fish in the area where they used to live, because he didn’t know how to fish anywhere else, and the last thing she said was, “He was no more.” This “no more” without saying the rest is extremely eloquent. He was no more. Period. The river-dweller identity, like any other, is aided by the memory of the group, constructed from stories anchored to the rocks in the rivers, to the rubber trees, to the chestnut trees. The moment that you deprive people of all of this, you deprive the group of their memory and weaken their identity. The impact of exploitation on these families is irreparable. How can you indemnify someone for their son’s tomb that sits far away on the riverbank, near the former dwelling of the evicted family? RB: Does the Ministry of the Environment take the position that the presence of these populations is incompatible with Conservation Units? MT: Inside the ICMBio, there are two trends: the preservationists, that are opposed to human occupation in conservation units, and the conservationists, who understand that, if the areas that currently correspond to conservation units have been occupied by traditional peoples and communities for centuries and are well-conserved, it is because the use that they make of the resources is, in itself, of environmental value. 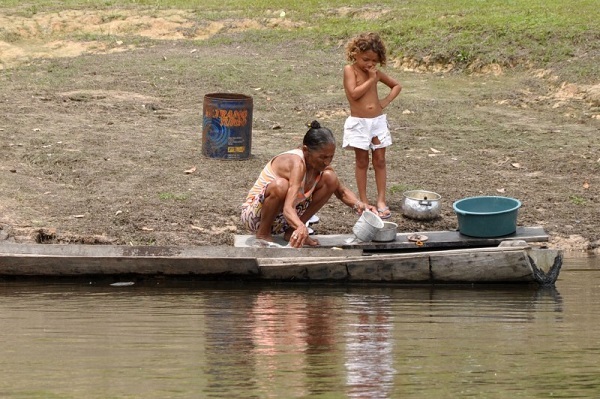 RB: How would you compare the situation of the Terra do Meio river-dwellers with those displaced by Belo Monte? MT: While the enormous degradation generated by Belo Monte counted on the benevolence of environmental control agencies, the half-dozen families of gatherers that are distributed along the 300 kilometers of the Iriri River are seen as intolerable, generating inadmissible impacts on a conservation unit of more than 3 million hectares. In the case of Belo Monte, the current position on environmental policy shows its subservience to the politics of “development.” At the same time, the dramatic situation of the river-dwellers exploited by the plant gives a good example of the frame against which the river-dwellers of the upper Iriri are resisting: the disaggregation of communitarian groups, the destruction of their ways of life, the loss of the means of subsistence. But the way in which the families of the Ecological Station were expelled–and others still run this risk–is even more cruel. They [families from Belo Monte] at least “exist” as removed families. There wasn’t an established process to remove them from the land, to the contrary: at least they admitted that this was being done. RB: Is it considered common knowledge that the conserved forest is incompatible with the presence of humans? MT: The best example of what is considered common knowledge is that the Amazon is unoccupied. We can understand it [the misconception] when this discourse is employed by city dwellers from the Central South, but not when it informs the actions of bureaucrats who work with this [conservation]. Archaeology shows that much of what we imagined to be virgin forests were socially-constructed environments. Archaeologists show that the Amazon has already been much more populated than it is today. I would even say that the most effective way to deter deforestation is precisely with these forest people. And Chico Mendes already proved this in Acre [state in northwestern Brazil] 30 years ago. What is deterring deforestation is ethnic territories: the indigenous lands, the quilombos [communities of fugitive slaves and their descendants] or the conservation units occupied by traditional communities. But there is something that bothers me: the discourse that “they deter the loggers because they love the forest,” as if they were essentially good and pure. Their relationship with the forest is governed more by the political domain than the moral domain. Having a healthy and intact forest near their homes is a necessity for their survival. When they held back deforestation, the advance of the illegal trespassers’ pastures, they were fighting for their own survival. RB: How do these communities maintain the forest by using the forest? MT: One of the most certain things in the Amazon, after the trespasser, is the humidity. It is very difficult to store things. These communities, heirs to indigenous knowledge, hold on to the ability to recognize in the forest an immense number of possibilities to guarantee the maintenance of a living, and therefore healthy, pantry. Even in the act of clearing brush, there is a system that imitates the dynamics of the forest itself. The river communities have veritable banks of germplasms [germ cells that carry hereditary information]. 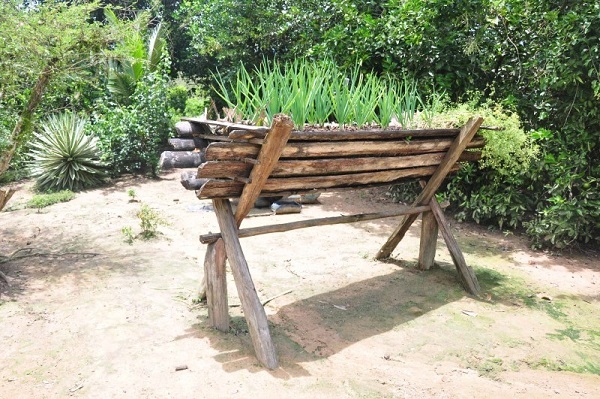 Along the Iriri River, it is possible to distinguish between an enormous variety of cultivars [strains] of manioc, or cassava, rarely catalogued by the Brazilian Agricultural Research Company [Embrapa]. By the logic of capitalist agriculture, the reasonable thing to do is to plant the most productive, the best [varieties]. But the priority of the river-dwellers is the necessities of their families. So, there is a strain of manioc that is for pregnant women, one for those recovering from illness, another one for the elderly, another that is very precocious and can be turned into flour after only six months, another that can be buried for up to three years and still maintains its function as a living pantry. 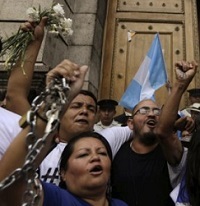 The group, then, guarantees its dietary security. Once I was walking with a forest engineer. He looked at a tree and commented, “You make axe handles with this, right?” The river-dweller said, “No, we make hoe handles with this, because it’s light. We make axe handles with another wood. And we make scythe handles with that other wood, and broom handles…” He enumerated a series of tool handles, without repeating a type of wood, a species [of tree]. This technology, to know the properties of each wood, speaks to sustainability. It shows that they will exploit, with little impact, a very large number of species and will not overload any one resource. Not depleting a resource is a fundamental component of a way of life constructed along generations. RB: What is the current situation of the families? MT: To ease situations of conflict–in the case of territorial overlaps–terms of the adjustment of conduct, or terms of compromise, were drawn up, in which an agreement was reached between the two parties, the occupying group and the environmental agency. 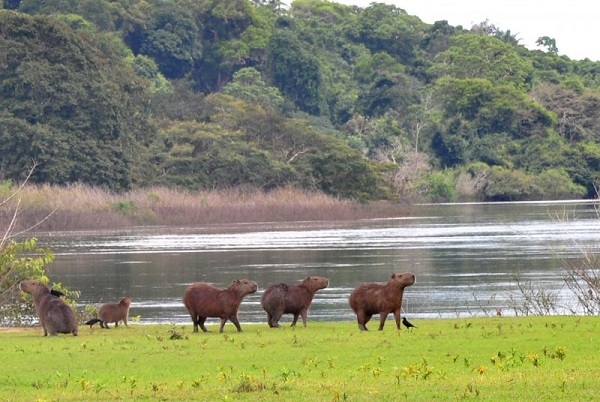 The terms of compromise were designed consensually with the river-dwelling families who live in the interior of the conservation unit; the manager of the ICMBio gave it due course but it got held up in Brasília. Thus, without any justification, the process was paralyzed and the families are still in limbo. The processes of the preparation and signing of agreements of this nature have been blocked in Brasília. It was left off the agenda. RB: What is motivating this vacuum caused by the State in not guaranteeing the rights of these families, and in showing its repressive muscle? MT: There are trespassing and logging lobbies that are surging up there, coming from the eastbound BR-163 (interstate highway connecting Cuiabá, Mato Grosso state, to Santarém, Pará state). And they know very well how to co-opt and occupy this vacuum left by the State. We talk about the river-dwellers of the Iriri River in the book, but there are others on the Curuá River, a tributary of the Iriri, that went through the same process. According to the studies, they should have benefited from an extractive reserve, but they haven’t. Another type of conservation unit was established there instead, a state forest, which is a type that is focused on the supply of timber. MT: Exactly. Illegal trespassers and loggers are already equipped with what we would call, in big quotations marks, “social assistance”: they are guaranteed transport, aid in case of illness, given the option of sending a child to a school in the next city, etc. In the absence of the State as a guarantor of rights, they come into the area with the following attitude, “We are going to help the abandoned river-dwellers.” People know very well the price that this will have. The entrance of a private entity into a vacuum left by the State, taking from these people what is their right, is the way in which mafias are formed throughout this entire planet. The position of the State today is to pave the way for these illegal trespassers. There are those who contend that the conservation units should be National Forests, in which a predetermined area is conceded to loggers and, from that point forward, must have full protection and can no longer have people. But what about the traditional communities? They are already there. Holly Holmes is a translator, ethnomusicologist, and vocalist who is passionate about sharing stories from Brazil on everything from politics and ecology to music and education.